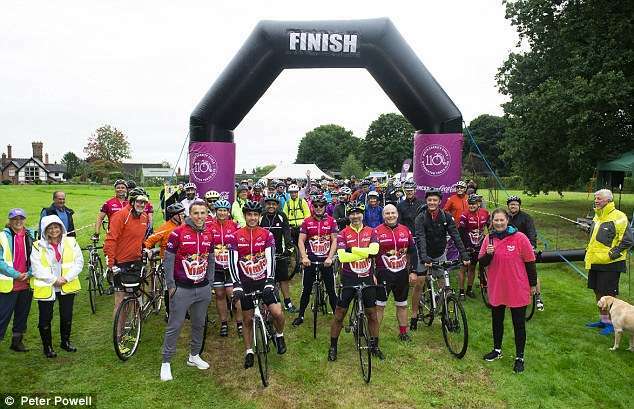 Manchester United legends Ryan Giggs, Gary Neville and Phil Neville took part in a 110km charity bike ride in order to raise money for Warrington Youth Club on Sunday. 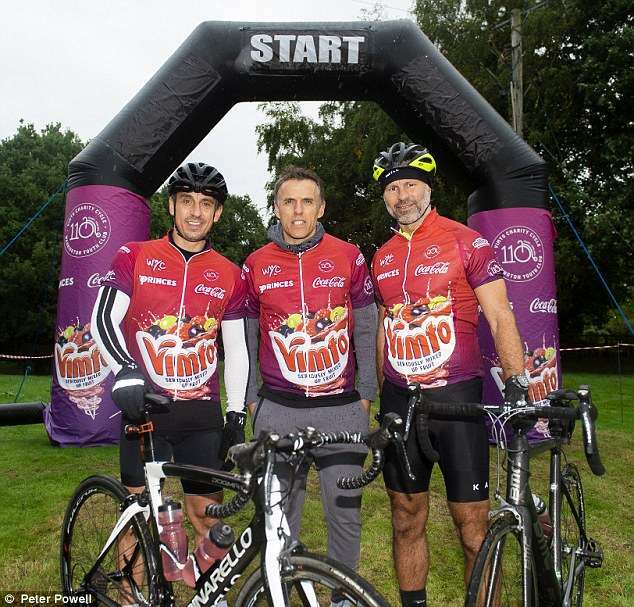 The trio made special appearances as Vimto put on its biggest charity fundraiser yet with 110 cyclists taking on the gruelling challenge through the Cheshire countryside. The former footballers looked in good spirits as they posed for photos both before and after the challenge. Established in 1952, WYC works to support young people from ages 7 to 25, offering opportunities to gain, increase and develop skills and confidence, to improve their lives and futures. The event was a huge success, raising over £110,000 for the WYC. Phil Neville and Ryan Giggs have both turned to management since their retirements, taking charge of the England women's team and Wales team respectively. Gary Neville has returned to his role as a pundit since his brief spell in charge of Valencia in 2016. Giggs and Gary Neville spent their entire playing careers at Old Trafford while Phil Neville was at the club for 15 years.